Acid Aqueous Solutions: An Environmentally Friendly Redox Reaction for the Undergraduate Laboratory," Chem. Educ. 1997, 2(4) 1-7. Emmenegger, L.; King, D. W.; Sigg, L.; Sulzberger, B. "Oxidation Kinetics of Fe(II) in a Eutrophic Swiss Lake," Environ. Sei. Techrwl. 1998, 32, 2990-2996. Fregoso-Infante, A.; Ibanez, J.G. ; Gonzalez-Rosas, L.C. ; Garcia-Pintor, E. "Microscale Environmental Chemistry. Part 3. 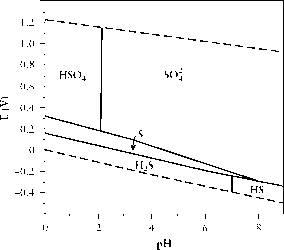 The Oxidation of Fe(II) by Molecular Oxygen as a Function of pH," Chem. Educator 2004, 9,9-11. Ibanez, J. G.; Miranda, C.; Topete, J.; García, E. "Metal Complexes and the Environment: Microscale Experiments with Iron-EDTA Chelates," Chem. Educator 2000,5,226-230. Ibanez, J. G.; Hernandez-Esparza, M.; Valdovinos-Rodriguez, I.; Lozano-Cusi, M.; de Pablos-Miranda, A. "Microscale Environmental Chemistry. Part 2. Effect of Hydrogen Peroxide in the Presence of Iron (II) (Fenton Reagent) and Other Conditions upon an Organic Pollutant," Chem. Educator 2003,8,47-50. King, D. W. "Role of Carbonate Speciation on the Oxidation Rate of Fe(II) in Aquatic Systems," Environ. Sei. Technol. 1998,32, 2997-3003. Kotronarou, A.; Sigg, L. "Sulfur Dioxide Oxidation in Atmospheric Water: Role of Iron(II) and Effect of Lig-ands," Environ. Sei. Technol. 1993, 27, 2725-2735. Pang, H.; Zhang, T. C. "Fabrication of Redox Potential Microelectrodes for Studies in Vegetated Soils or Biofilm Systems," Environ. Sei. Technol. 1998, 32, 2990-2996. Rajeshwar, K.; Ibanez, J. G.; Environmental Electrochemistry: Fundamentals and Applications in Pollution Abatement', Academic Press: San Diego, CA, 1997. Chapters 1, 5, 8. Richardson, J. N.; Stauffer, M. T.; Henry, J. L. "Microscale Quantitative Analysis of Hard Water Samples Using an Indirect Potassium Permanganate Redox Titration," J. Chem. Educ. 2003, 80, 65-67. Schnell, S.; Ratering, S.; Jansen, K.-H. "Simultaneous Determination of Iron(III), Iron(II), and Manganese(II) in Environmental Samples by Ion Chromatography," Environ. Sei. Technol. 1998, 32, 1530-1537. Singh, M. M.; McGowan, C.; Szafran, Z.; Pike, R. M. "A Modified Microburet for Microscale Titration," J. Chem. Educ. 1998, 75, 371. To, T. B.; Nordstrom, D. K.; Cunningham, K. M.; Ball, J. W; McCleskey, R. B. "New Method for the Direct Determination of Dissolved Fe(III) Concentration in Acid Mine Waters," Environ. Sei. Technol. 1999, 33, 807-813. Viswanathan, M. N.; Boettcher, B. "Biological Iron Removal from Groundwater: A Review," Wat. Sei. Technol. 1991,23, 1437-1446.